This page describes using routines from the Fitgrid package - a package containing 1D and 2D interpolators using cubic splines under tension. 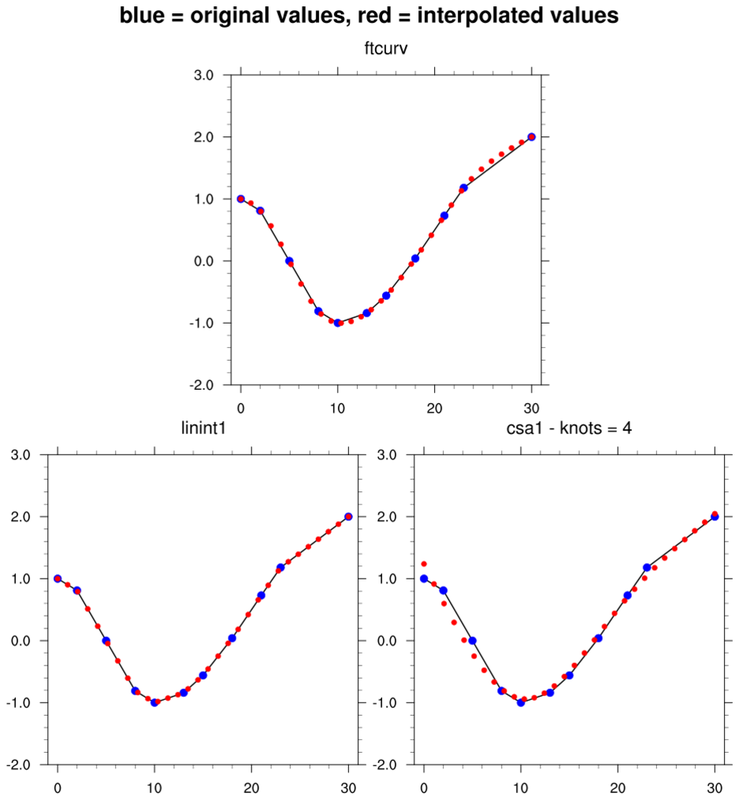 ftcurvd - Calculates the derivatives of an interpolatory spline under tension. 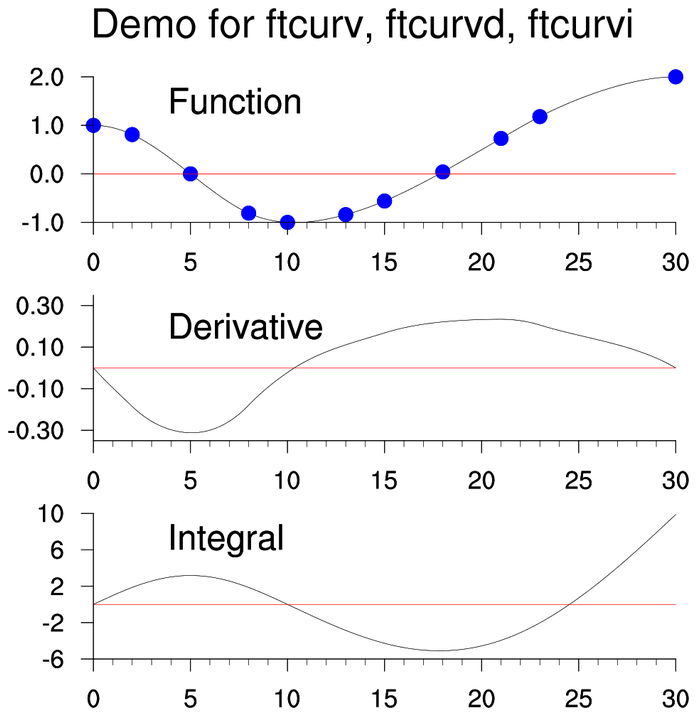 ftcurvi - Calculates integrals of an interpolatory spline under tension between two user-specified limits. 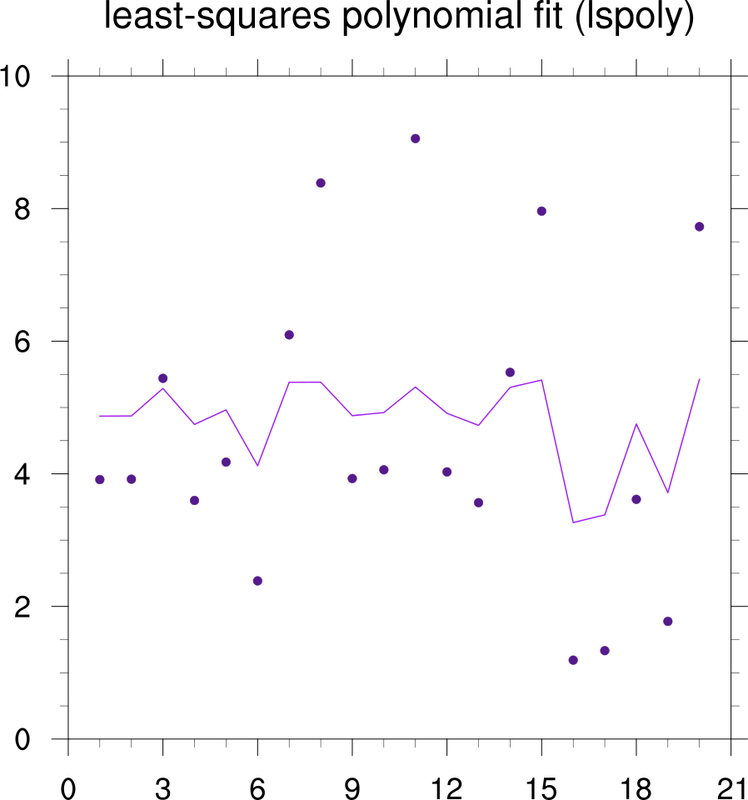 scatter_9.ncl: Demonstrates how to use lspoly to calculate a least-squares polynomial fit through a random set of points. 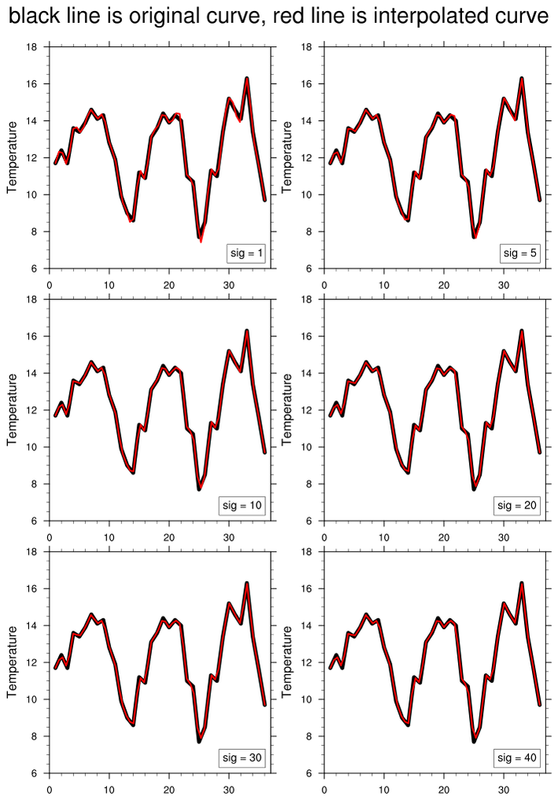 interp1d_2.ncl: Demonstrates different tension smoothing values applied to ftcurv, via the "sig" parameter set with ftsetp. interp1d_3.ncl: Demonstrates the use of lspoly to calculate a least-squares polynomial fit through the same curve as the previous example. 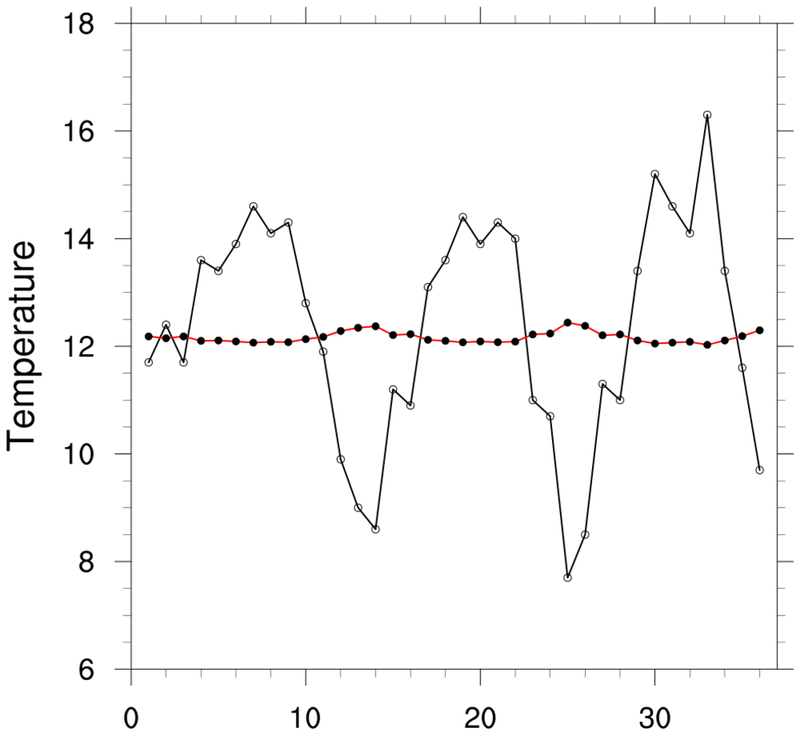 interp1d_4.ncl: Interpolates data using three interpolation functions for comparison: ftcurv, linint1, and csa1.